Janice Stanger, PhD, is a nutrition expert whose mission is to teach people to thrive on a whole-foods, plant-based diet. 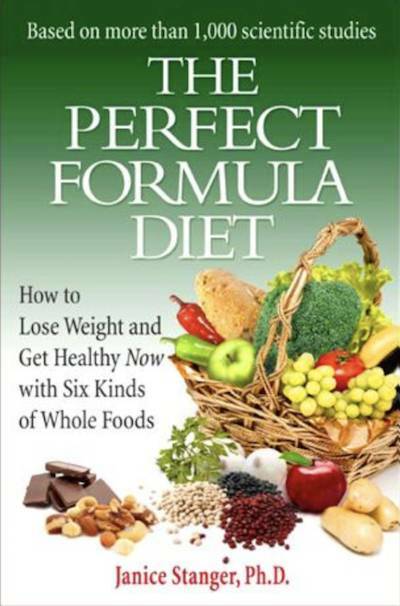 She is the author of The Perfect Formula Diet: How to Lose Weight and Get Healthy Now with Six Kinds of Whole Foods. She blogs on her site Perfect Formula Diet and is a frequent conference presenter, radio show guest, and teacher of several courses on nutrition and health. 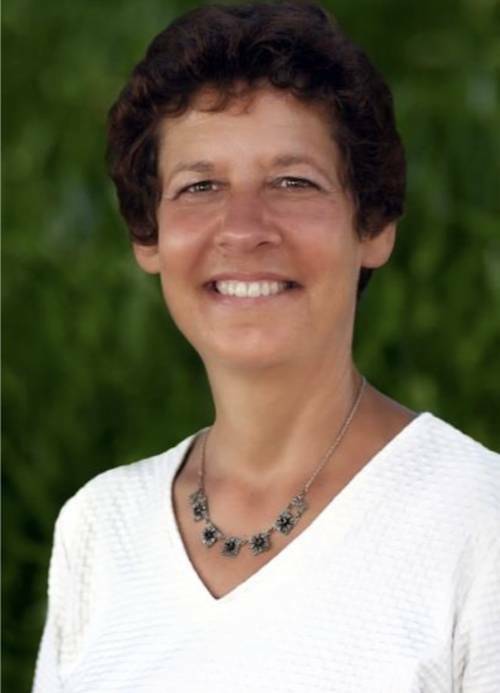 Utilizing her thirty years of experience working on healthcare issues with employers, she consults on various projects to bring health to the workplace. Shredding ridiculous nutrition myths is Janice's specialty. For example, did you know that you don't need a special source of protein in your food any more than you need a special source of oxygen in your air? Protein is an abundant nutrient, and only plants can make essential amino acids. Do you understand the most essential nutrient (the one you will die soonest without) is the energy in food - its calories? Did you know extracted oils of any kind (but, most dangerously, the long-chain omega-3s) will become rancid and cause harmful oxidative damage? Most people don’t have this information. Janice has a Ph.D. in Human Development and Aging from University of California-San Francisco, is certified in plant-based nutrition through the T. Colin Campbell Foundation, and has an M.B.A from University of California, Berkeley. Janice: When my daughters were 11 and 13, they spontaneously decided to stop eating meat. I spent a year trying to get them to change their minds, then ended up becoming vegetarian myself. However, I was still worried that our diet was drastically lacking in protein and other nutrients so spent a lot of time researching nutrition---and soon found out everything I thought I knew about wise eating was wrong. I started to transition to veganism completing the transition about 2000. Of course, once I was vegan, my daughters had to follow my example because mom could not be cooler than they were. Janice: Dr. John McDougall did not lead me to become vegan, but he did lead me to the realization that the way to thrive as a vegan was to eat whole foods---which excluded processed/extracted oils as much as it did sugar or white flour. During this time as I was transitioning to veganism, I lived in the San Francisco area and was able to see him speak several times and buy one of the McDougall cookbooks. Up to that time, I had been living on vegan junk food because I didn't know what else to eat. Janice: Start with activities you are comfortable with, then push yourself harder over time. Maybe your special talent is art, music, writing, or cooking. So many organizations need your help. Find one (like EVEN) whose mission is important to you, and consistently put in effort to volunteer either behind-the-scenes or at events. At first you may feel a bit shy or self-conscious, but this will quickly pass as you feel the delight of helping animals, people, and the planet. There is no more rewarding choice than to be part of that community of people making a difference. I like to think we are all little trickles of water, but when we act together we flow into a powerful river. Janice: First is that people imagine they need to give up their favorite foods, and will never enjoy eating again. This is a myth. Your tastes change when you adopt new food choices. Soon the new foods taste great, and the old favorites are no longer appealing. Second is that eating only plants is unfamiliar and you might not immediately know how to put together a meal. This issue is easily dealt with. So many vegan choices are available in restaurants and grocery stores, and if you search online for "vegan (fill in name of whatever food you want, such as burger or pasta sauce or whatever)," you will find enough options for a lifetime. Finally, and most important, people may hesitate to make choices different than those of family and friends. There are many articles, books, websites, and online groups that can help you understand how to work through social issues like this successfully - as can groups such as EVEN. Janice: People worry that a plant-based diet is inadequate to meet nutritional needs. This is the exact opposite of the actual facts. Think of it--- plants are the base of the food chain. Do plants need to eat animals, or do animals eat plants? It's obvious that plants are nutrient producers, and animals are nutrient consumers. You get your nutrients from their original source by eating plants. Janice: People need to transition to a vegan diet at their own pace and in their own style. If someone is making strides toward a plant-based diet, I always encourage them. It's important to learn all you can about vegan nutrition, the fate of animals raised for food (whether so-called "humanely" or not), and the devastating impact that raising animals for food has on our one and only planet. Stay motivated and keep up forward momentum in your life. Find foods you really like and enjoy them. Allow yourself an occasional treat, such as dark chocolate. Millions of other people thrive on a plant- based diet, and so can you. Janice: When I was a child, I loved animals so much, and never understood I was eating them, even when it should have been obvious. I wish I had decided to be vegan when I was a child, but better later in life than never. Soup with veggies that has lots of mushrooms is great for fighting a cold. Janice: Soup is my go-to favorite, regardless of season. You can combine so many wonderful ingredients---beans, veggies, herbs, spices, potatoes, whole grains, and more---in endless taste and texture variations. Soup is also very forgiving to cook, and there are thousands of great recipes easily found. Just leave out the oil if the recipe calls for it; you can sauté your veggies initially in a little water or broth. On the cold side, I love a chocolate-banana smoothie made with all healthy ingredients. Just blend about half a cup of unsweetened plant- milk, half a tablespoon of nut butter, half a teaspoon of vanilla extract, about a tablespoon of cocoa powder (real cocoa, not a mix with sugar), and two ice cubes. Then add chunks of frozen banana and blend again until it's the texture you want. You can make the texture anything from a frosty drink to almost as thick as "ice cream." This is my favorite treat, summer or winter. After everything is blended, you can add any other fruit (spoon it into the mixture) to make the smoothie pack more nutrition. Janice: I love enjoying delicious food while knowing that I am protecting animals, the planet, other people, and my own health. Since becoming vegan in 2000, my health has very much improved and so have my weight and energy level. I love being vegan, and everything about it is worthwhile. Janice: More and more people are understanding how important it is to be vegan to maximize our chances for health, and even for the survival of life as we know it on our planet. Unfortunately, many are not yet fully acting on their understanding, and there's no time to waste. We all need to reach out and touch as many people as we can with both information and inspiration.